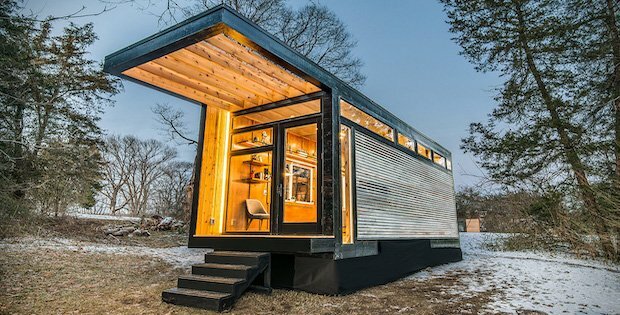 This tiny house design caters to the creative. Being situated in the middle of a serene environment, it gives its owner the peace and privacy she needs to write her work. 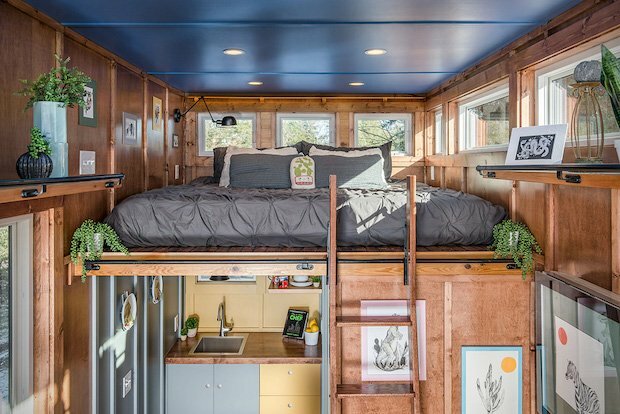 The home is small and compact. However, it has everything Cornelia needs for a comfortable life of seclusion. 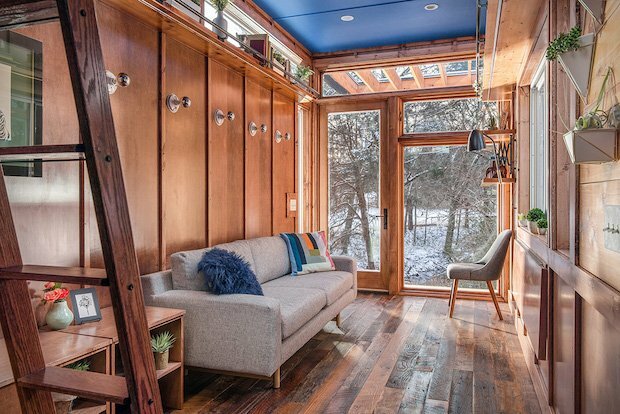 Inside, the home is well-lit by natural light thanks to the floor-to-ceiling windows. The floor plan is simple with everything evenly placed throughout the home. This provides a harmonious atmosphere, freeing the mind from needless stress. There is nothing social about writing. Sure, an author can go schmooze all they like, but when it comes down to doing the work there isn’t much more to it than sitting alone and putting words on the page. Why not enjoy that solitude? 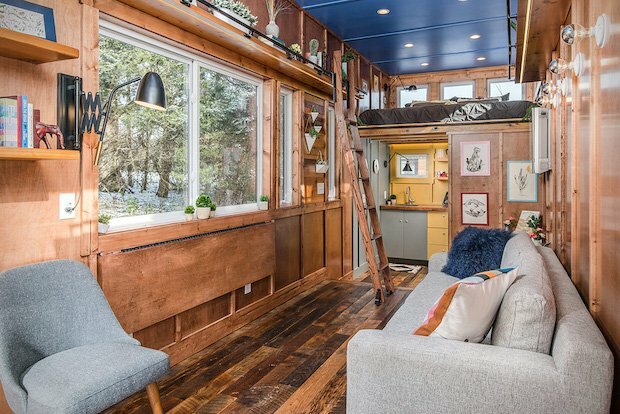 So thought international bestselling author Cornelia Funke when she commissioned the Cornelia Tiny House. Take a look at these photos and tell us what you think on our Facebook Page! OW TELL US WHAT YOU THINK BY JOINING THE DISCUSSION ON OUR FACEBOOK PAGE! Interested In Buying This Cabin?